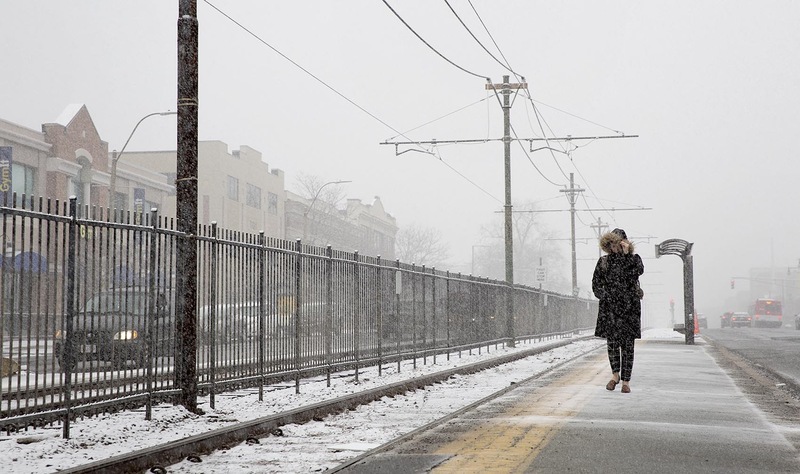 Cities along the Eastern Corridor are expecting the first winter storm snowfall of the season bringing an icy mix of snow, sleet, and rain across the mid-Atlantic region. On Thursday, New York City is expected to see the least amount of snow, with a slushy coating to one inch with gusts from 8 to 12 mph will make the air feel colder than the 36 degrees. Thursday night will bring rain, heavy at times, with wind gusts working their way to 21 mph in some areas. Other New York counties such as Cortland, Steuben, Tioga, Seneca, Schuyler and Yates counties could see anywhere from seven to eight inches of snow. According to the National Weather Service, “an initial shot of steady snow is anticipated Thursday afternoon” followed by heavy snow late on Thursday night and into Friday morning. Meanwhile, Boston will see temperatures in the mid-30s during Thursday with temperatures dropping to the low 30s later in the day. Periods of snow and sleet will arrive in the evening with one to three inches of snow possible followed by rain. Some areas will see wind gusts up to 35 mph. Across the East Coast commutes will be a challenge with the National Weather Service warning of slippery roads and limited visibility.